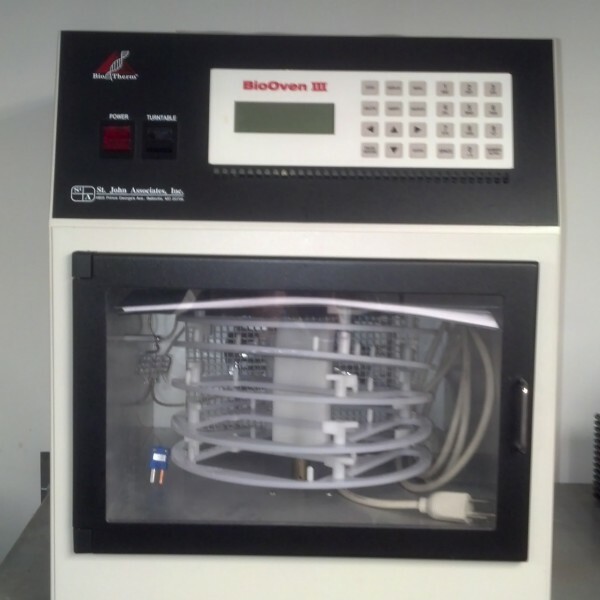 The BioOven III employs a unique rotating sample tray that exposes all samples to the same environment. Up to 10 96-well plates. A typical 92, 72, 55C profile ( 15 seconds each ) will produce a 4-5 minute cycle in the BioOven III. The controller is menu-driven. You can instantly find and run stored procedures. Creating new procedures or changing current ones is easier than ever before. 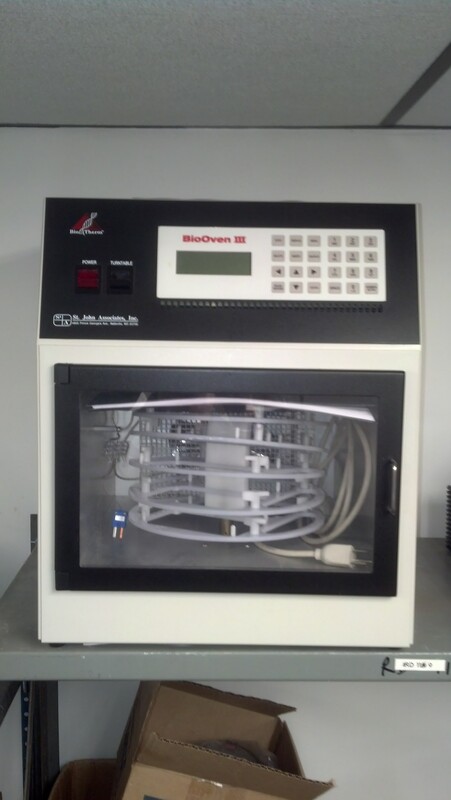 You simply indicate the type of sample you’re running, and the BioOven III optimizes the run for you. At a glance, the display screen gives you all the information you need: sample and target temperature, name of the program, current cycle count and elapsed time of the experiment.The BioOven III lets you write POINTS, PROFILES and PROGRAMS. POINTS are single temperatures and associated soak times. PROFILES are a set of up to twenty points. PROGRAMS are series of up to twenty profiles. Linking profiles and writing complex procedures has never been easier. Automatic increases or decreases in temperature or time per cycle are easily programmed as well.The controller can store up to 99 PROFILES in non-volatile memory. Also, it can separately store up to 99 PROGRAMS – each with running instructions for up to 20 PROFILES.